Vesak Day (or Wesak Day) is more commonly known as Buddha’s birthday. 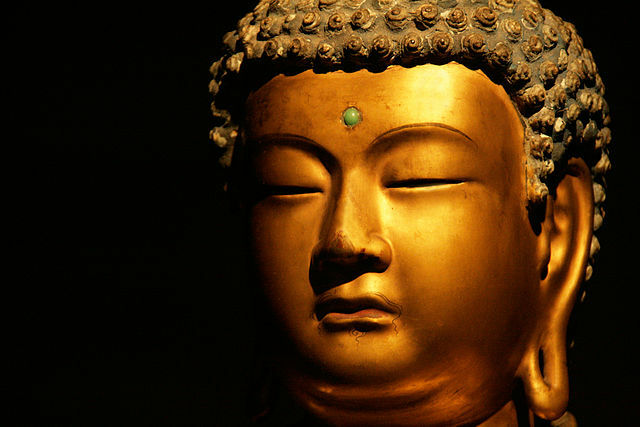 However, the event encompasses not only Buddha’s birth, but also his enlightenment and death. While Christians celebrate Jesus’ birth and death as two separate occasions (Christmas and Easter), Buddhists commemorate Buddha’s birth and death as one. Given that Buddhism is the biggest religion in Thailand, with 90% of the population practising the faith, Vesak Day is undoubtedly one of Bangkok’s most important annual events. It’s a fascinating time to visit the city. The date varies from year to year, and from country to country – depending on which calendar is followed. In 2014, Thailand will celebrate Vesak Day on Tuesday, May 13th. It’s a national holiday, so do remember that many facilities, such as banks, will be closed. It can also be a really busy time in Bangkok, as many Thai people head to the capital to spend the day with family and friends, visit temples and partake in the city’s celebrations. So, if you want to stay in a Bangkok hotel, it’s a good idea to book a room in advance. Fortunately, Buddha took the time to write instructions, outlining exactly what should happen on Vesak Day. 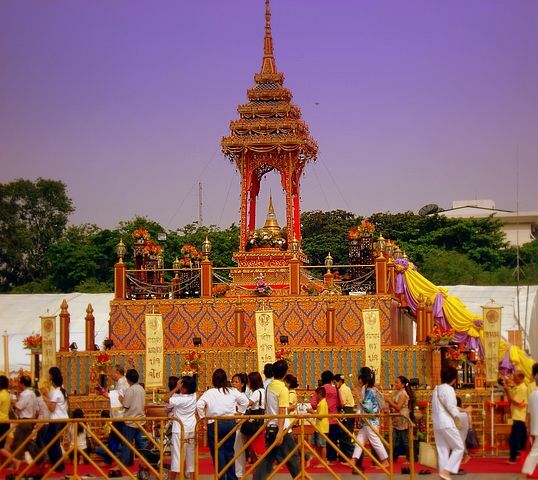 So, certain core traditional rituals are observed both in Bangkok and all over Thailand. Here’s what to expect. To experience the event from start to finish, you’ll need to be up early. First thing in the morning, just as the sun is rising, devotees of Buddha meet at temples, where they sing sacred songs. These explore three ‘themes’, usually described as the ‘three treasures’ or ‘three jewels’ of Buddhism. The first is Buddha himself. The second is Dharma, which means Buddha’s teachings, specifically in terms of relating the laws of nature to human suffering. The third is Sangha, which refers to Buddha’s followers, particularly the ordained Buddhist nuns and monks who live in monastic communities. By the end of Vesak Day, Bangkok’s Buddhist temples are overflowing with flowers, candles, incense and fruit. All day long, devotees bring offerings, which carry various symbolic significance. They are often used as part of the preparation for meditation, but they also play an important role in karma and rebirth. Potentially, offerings can lead to improved reincarnation and increase the speed of release from earthly suffering. They inspire Buddhists to contemplate gratitude and nurture generosity. Another important element of the Vesak Day programme in Bangkok is its demonstrative side. In temples all over the city, monks will be giving lectures on various aspects of Buddhist practice. Both Buddhists and non-Buddhists are more than welcome to attend. You can see it as an opportunity to find out more about Buddhism, ask a burning question and/or partake in traditional rituals. Meanwhile, exhibitions will demonstrate the history of Buddhism, from Buddha Siddhartha Gautama’s birth in Lumbini, Nepal in the 6th century BCE, to its expansion across India, into Central, East and South-east Asia, to the way it manifests today – both in Thailand and other nations.